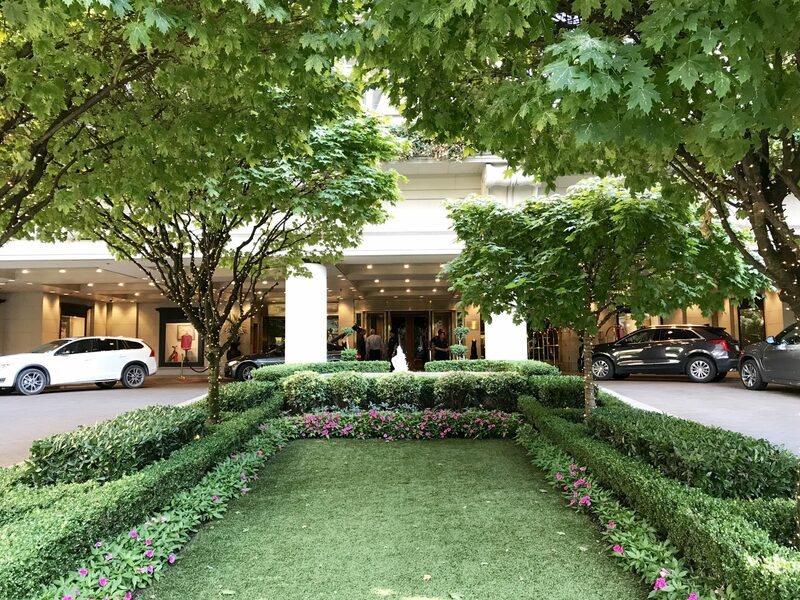 Not too long ago, we had the opportunity to visit Seattle and stay at the venerable Seattle Fairmont Olympic Hotel. The whole family was very impressed – the experience was really pretty spectacular. Now I grew up in San Francisco where the original Fairmont Hotel still sits atop Nob Hill, flanked by the famous cable cars as they tug up California Street. All my young years and into early adulthood, the Fairmont stood as the grand dame of hotels and bastian of good manners and superior service. Yes, many good memories were made at that fine hotel, and I am so glad to have made more on our visit to the Seattle Fairmont Olympic Hotel. The Fairmont Olympic Hotel is no slouch in the history department either. Joining the Fairmont family of hotels in 2003, the grand Olympic Hotel has long been a part of the social fabric of Seattle. The original building was constructed in 1924 on the original site of University of Washington’s first location, and is listed on the National Register of Historic Places. Everything about this hotel screamed Attention to Detail! 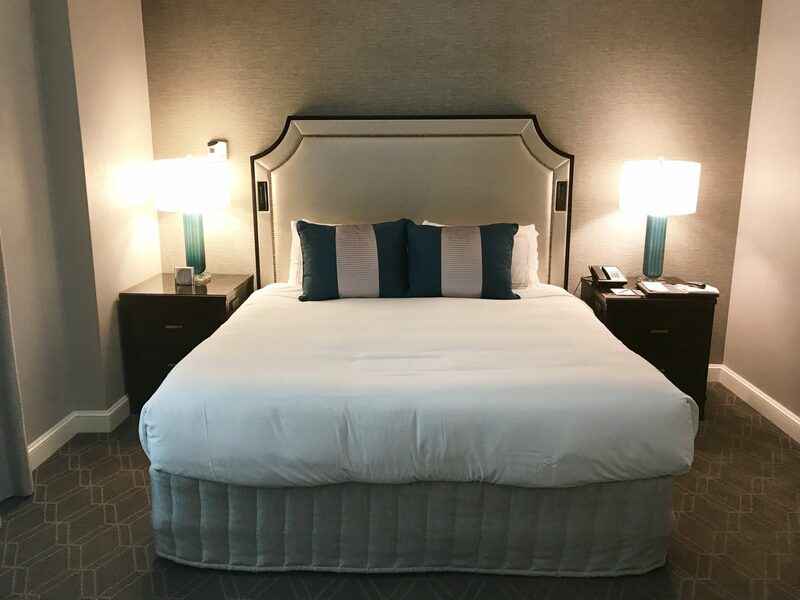 Clearly Fairmont Hotels knows how to choose their locations wisely – we’ve had several fantastic experiences in their historic renovated properties, including the Clairemont Hotel in Berkeley which we LOVED. Pulling up into the porte cochere at the Fairmont Olympic Hotel, we immediately sat more straight in our seats. The property is as grand on the ground floor as it is above. As we stepped from our Uber, we were greeted by two nice gentlemen who treated our girls beautifully. (It’s always a sign of good service when the hotel greets our kids with the same courtesy as their parents). Our imaginations ran wild thinking about all the interesting people who have graced this lobby. But that lobby! Oh that lobby. Rising up the escalator into the lobby, our breaths were taken away by the beauty and dare I say opulence of this gorgeous space. We felt a little like Julia Roberts in Pretty Woman, traipsing through an elegant hotel lobby in our less-than-elegant shorts and flip-flops. 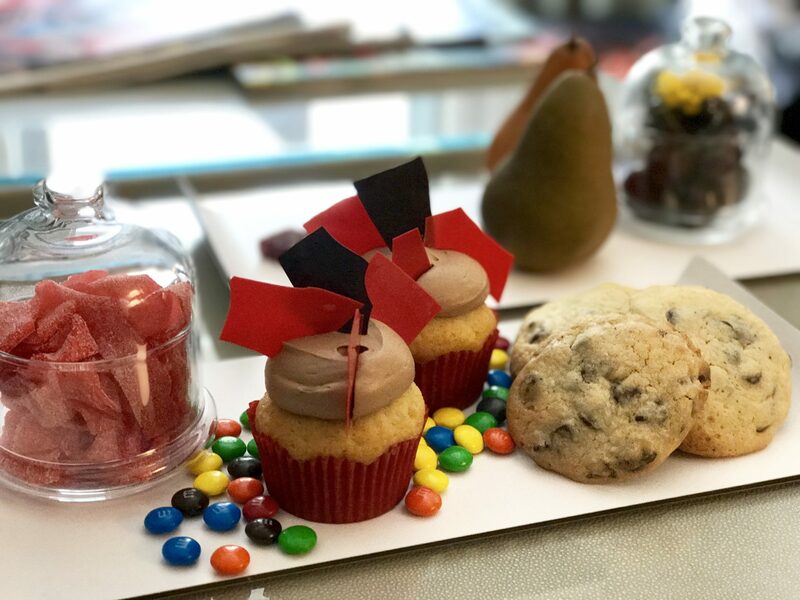 When we arrived, this platter of amazing treats was waiting in our room. Our suite was huge. With a spacious bedroom, kingsize bed and doors that close off the sitting room, everyone was comfortable with plenty of privacy. The girls sacked out on the fold-out couch, and the hotel staff made it extra comfy with added padding, blankets and pillows – so cushy! 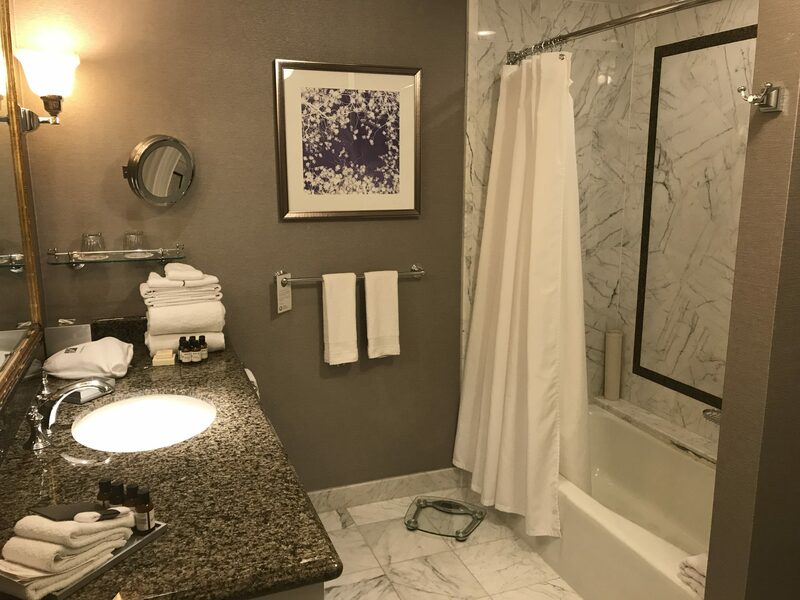 Oh, and for the bathroom princesses reading this, you will not be disappointed with the size of this gargantuan bathroom with shower/tub. You could practically dance and have drinks in this bathroom, it was so big. There’s nothing like a big hotel bathroom, with lots of clean, plush towels. One of the things the Seattle Fairmont Olympic Hotel is known for is their High Tea. Suffice to say it is super fancy, and we had to wear actual nice clothes and maintain our best behavior. And it was so fun! They treated us like royalty. 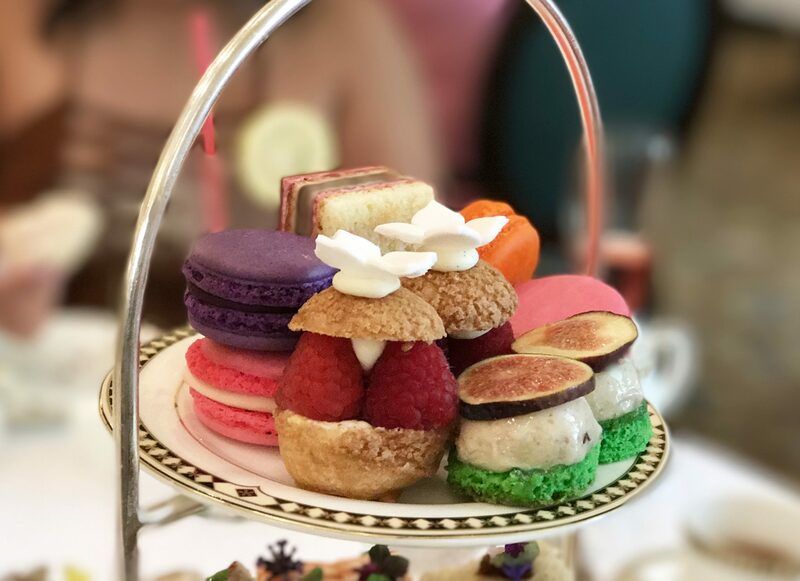 Really it was so awesome I wrote a whole other blog post about it – click Afternoon Tea at the Seattle Fairmont Olympic Hotel for more details on this cool experience. Afternoon Tea at the Fairmont Olympic is so very civilized! The Fairmont Olympic Hotel is located in downtown Seattle, right on University Avenue as it dips down towards the waterfront. 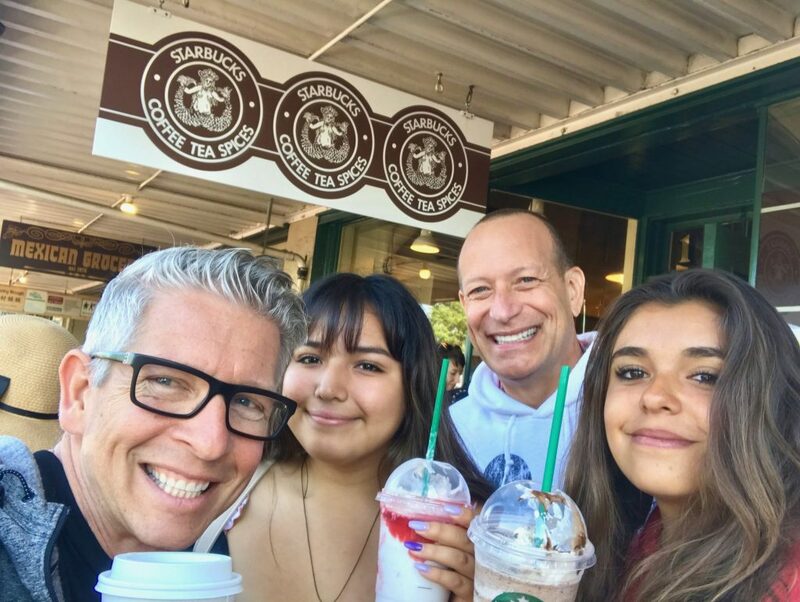 We easily walked down a few blocks to Pikes Market, the original Starbucks (mecca to Triton), and scores of shops, cafes and galleries. 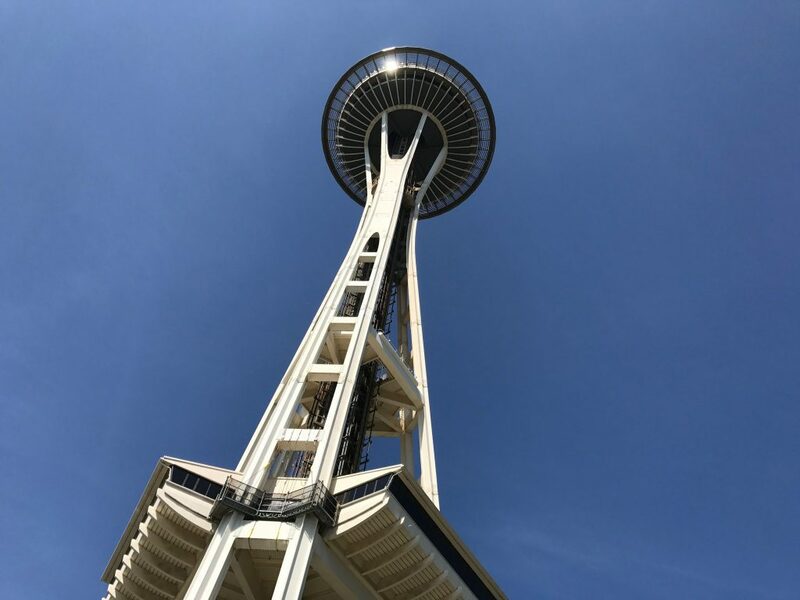 The hotel is also really close to the Seattle Space Needle and Chihuly Glass Garden, which are a 25-30 minute walk away (or the lovely house car at the Fairmont can drive you there in less than 10 minutes – we opted for that)! 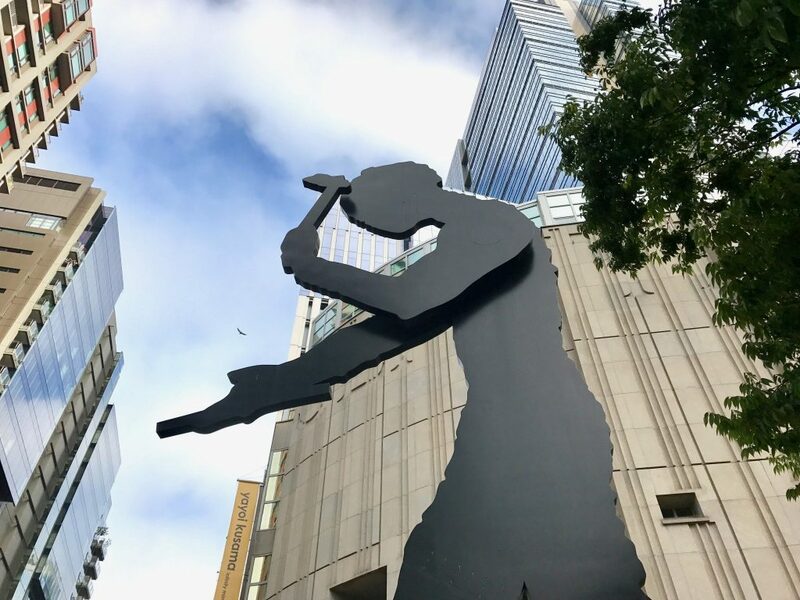 Plus the fantastic Seattle Museum of Art is just two blocks away. 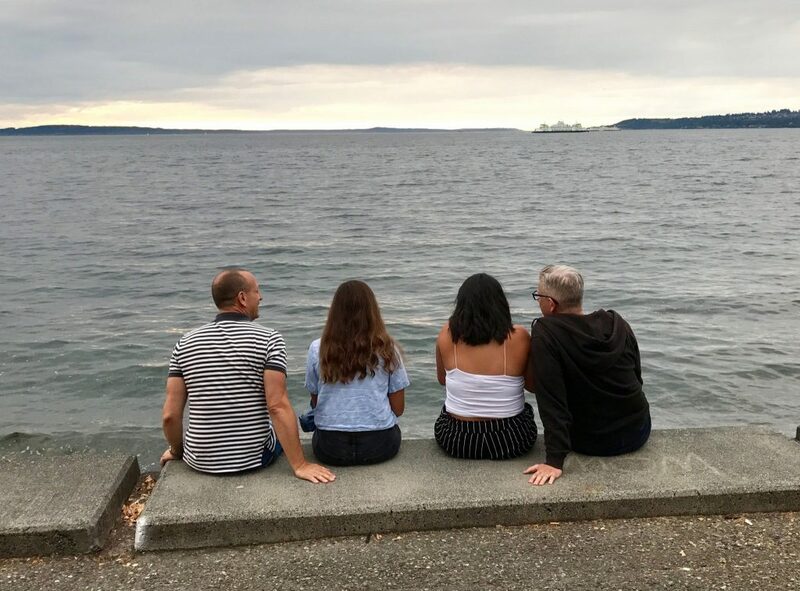 *This experience was hosted by our fine friends at the Seattle Space Needle and Chihuly Garden & Glass, and we’re so pleased that we had this opportunity to visit. When in Seattle, you sort of have to visit the Space Needle. It’s a ritual of the Northwest, calling all visitors to its lofty heights to look upon the beauty of the surrounding city. Really it is breathtaking and cannot be missed. 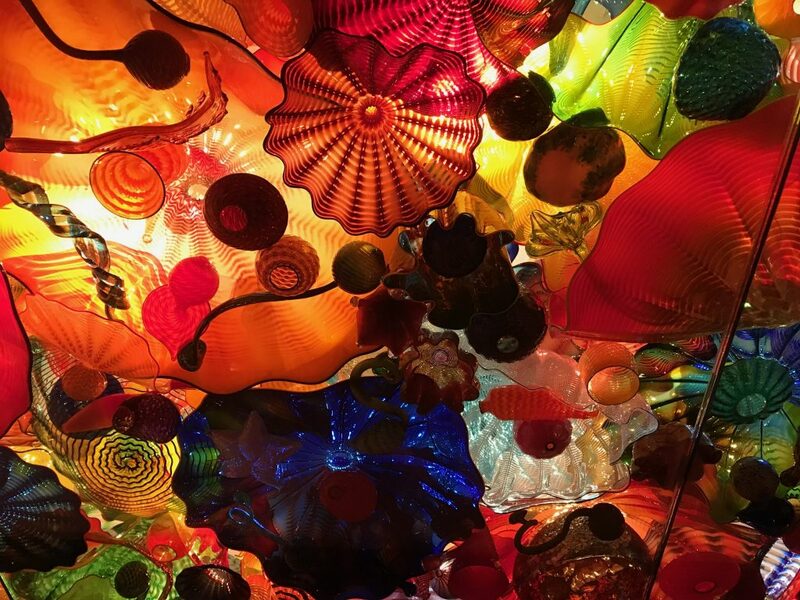 Lucky for us, the Chihuly Garden & Glass is located right at the base of the Needle, so explorers like our family can enjoy at twofer: Seattle Space Needle AND Chihuly Garden & Glass in one visit! So near the Fairmont Olympic Hotel where we stayed, the walk was an easy stroll through downtown from one end to the other. 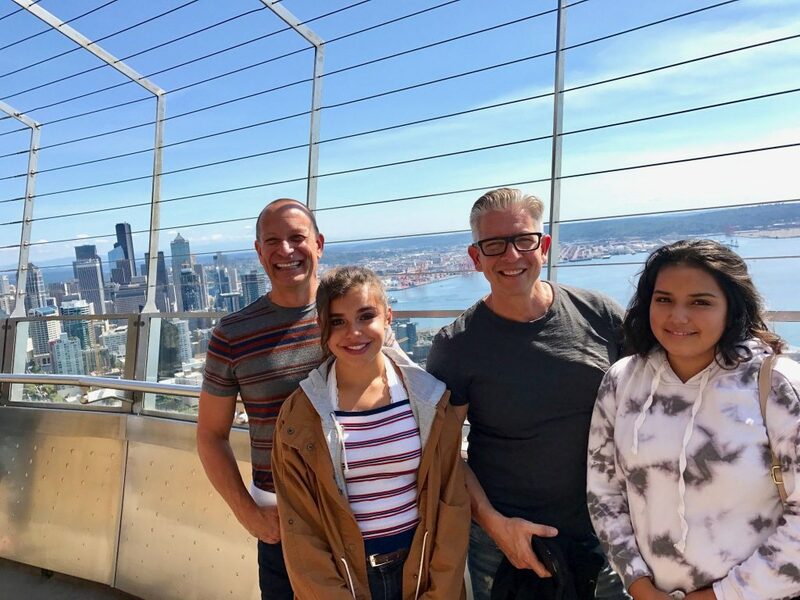 Although this was not the first time we’ve visited the Seattle Space Needle, it was the first time with our kids so we took time to pay attention to the story behind its creation. And quite a story it is. 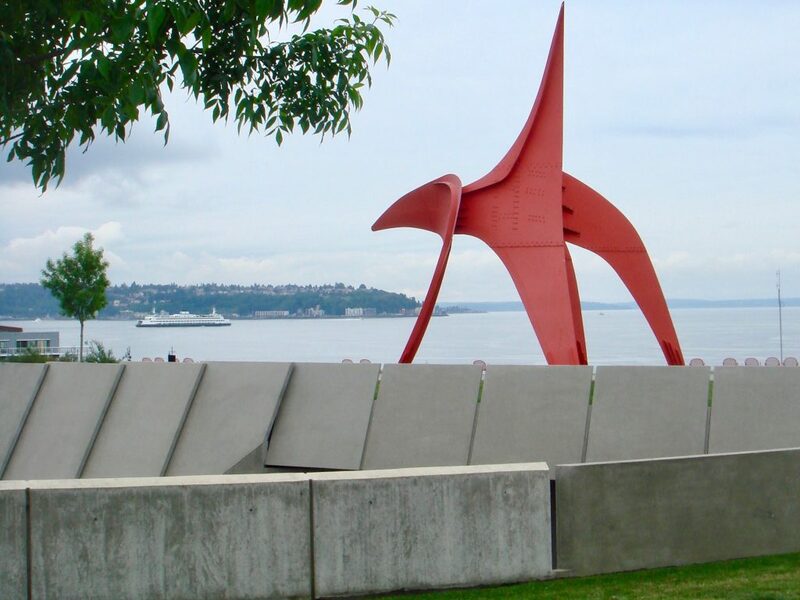 The Needle was built in just one year, from start to finish, because the city leaders wanted it to be complete for the World’s Fair which was held in Seattle in 1962. It is a feat of engineering and construction, the process of which is detailed as you spiral up inside the building towards the elevators. And yes, it was intentionally designed to look like a flying saucer. This was designed by architects to honor the US manned space flights, and the intention to reach the moon. Very appropriate then, and the stuff of modern legends now. The exhibition on all this is very cool and interesting, with references to the music, movies and fashion of the 1960s in order to set the mood. Once reaching the top by high-speed elevator through the center core of the Needle, the views are truly stunning. We could see Mt. Rainer, the bay/ocean and the San Juan Islands, and snowcapped Cascade and Olympic mountain ranges in the not-so-distant horizon. Below us, the city skyline and neighbors spread out around us like jewels. There are selfie stations for those instagrammers – more appropriately Snapchatters like our teens – and tons of great vistas to capture. Helpful hint: Get there early and plan for lines. We picked up our tickets quickly, which had an entry time printed on them indicating when we should queue up to enter the building. It was hot that day in Seattle (not the norm!) and the line had us waiting in direct sun – not great for those of us who are follically- challenged, or others who might have perhaps not made the right wardrobe choice that morning and were dressed for winter. Plan on spending two hours here – the view from the top is just one of the cool things you will experience. Plus they have a great gift shop, and I am rarely a sucker for those. Dale Chihuly has some ties to San Diego, so his name and incredible glass art was not foreign to us. You may recognize his work from the ornate glass flowers that cover the ceiling of the Bellagio Hotel in Las Vegas. However, we were unprepared for how amazed we would be at his gorgeous displays at Chihuly Garden & Glass. 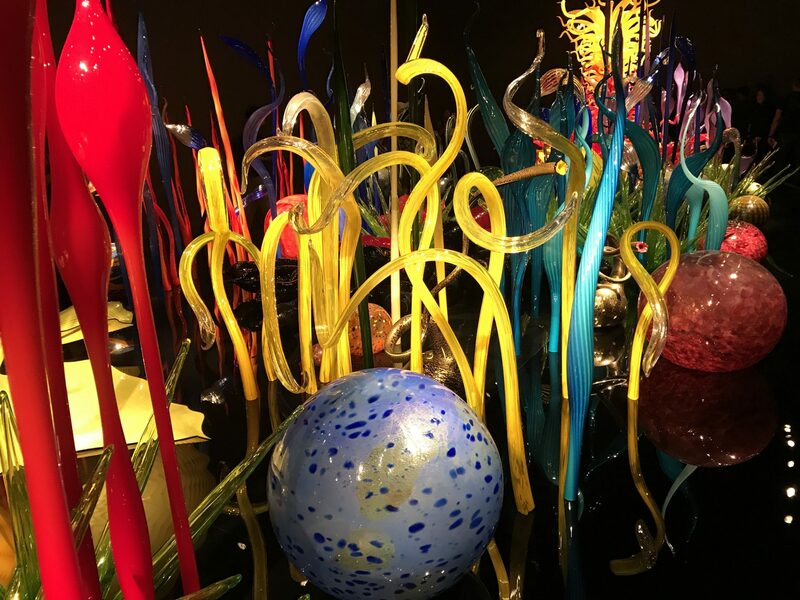 This is not your typical glassblower exhibit – his work reminded us of a Dr. Seuss world of fanciful creatures in every shape and color of the rainbow. You have to see it to really get it. As soon as we entered the first room, all of our mouths dropped open at the incredible beauty of his creation. It appeared to us as an underwater scene of waves and the fronds of sea anemones, with starfish dotted about like natural Christmas tree ornaments. It went on from there, room by room, with each display more incredible than the last. Outside in the garden, the scene continues in a more natural setting. 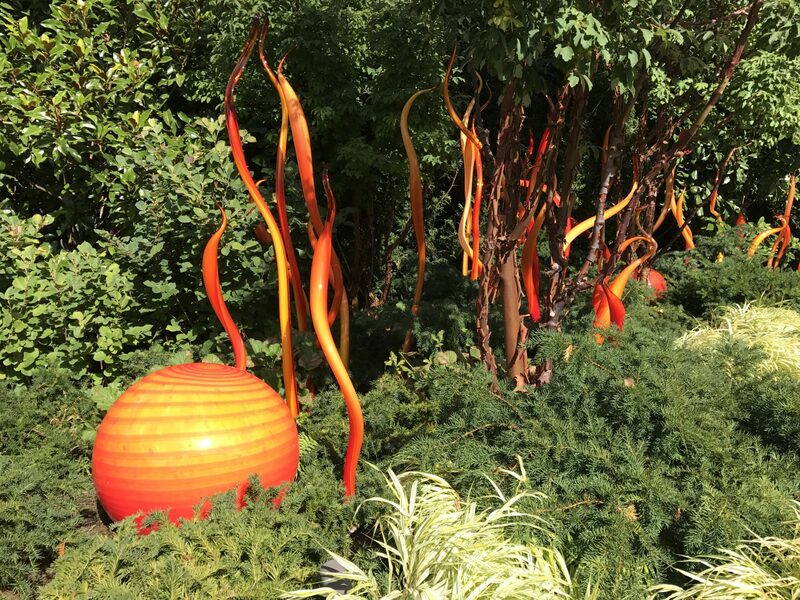 Chihuly’s stunning and colorful glass is intermixed with beds of real flowers, plants and trees that both complement and stage the art. In some places, giant branches of orange speckled glass rise from beds of orange flowers. In another, glass figures are mixed in with fallen branches, succulents and ferns. Absolutely stunning. Helpful Hint: Take your time to walk through the rooms and then outside in the garden. It’s not a huge museum, and well worth a thoughtful stroll rather than a beeline rush. Also for those with small children, there is a great attraction to touching some of these creations since they are so fun and other-worldly. Keep them close, or you know the old adage – You Break It, You Buy It. And we can only imagine the price of some of these pieces! I visited the Glass Garden but skipped the Space Needle on my last visit so it was good to read about your experiences up there. Love the combination of architecture and nature. Seattle sounds amazing. I’ve only been as close as Vancouver so far. But I need to get more of the PNW into my bloodstream. 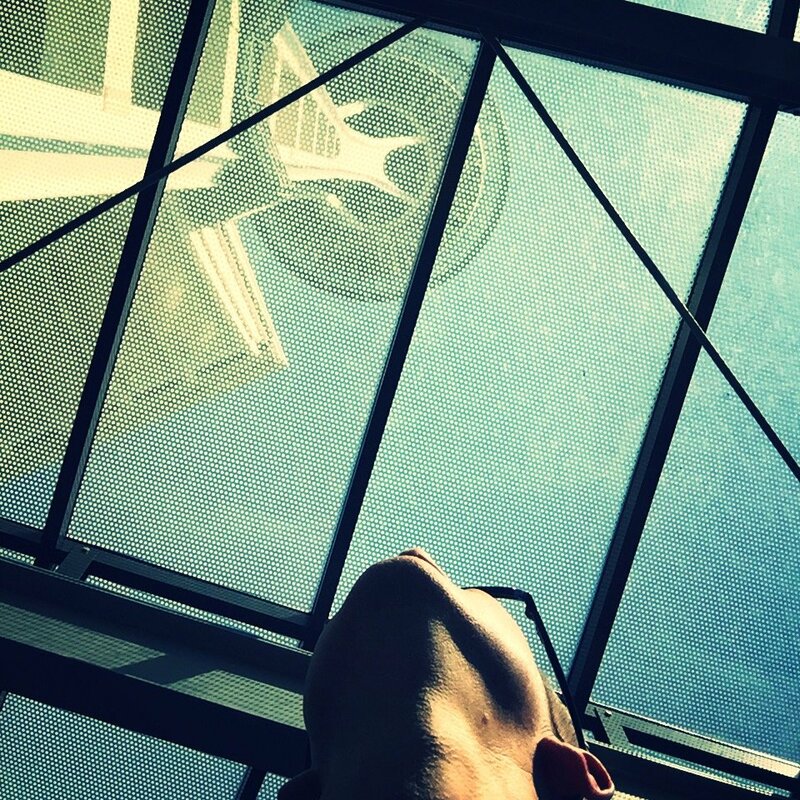 I have learned so many interesting things about the Space Needle. Great post! 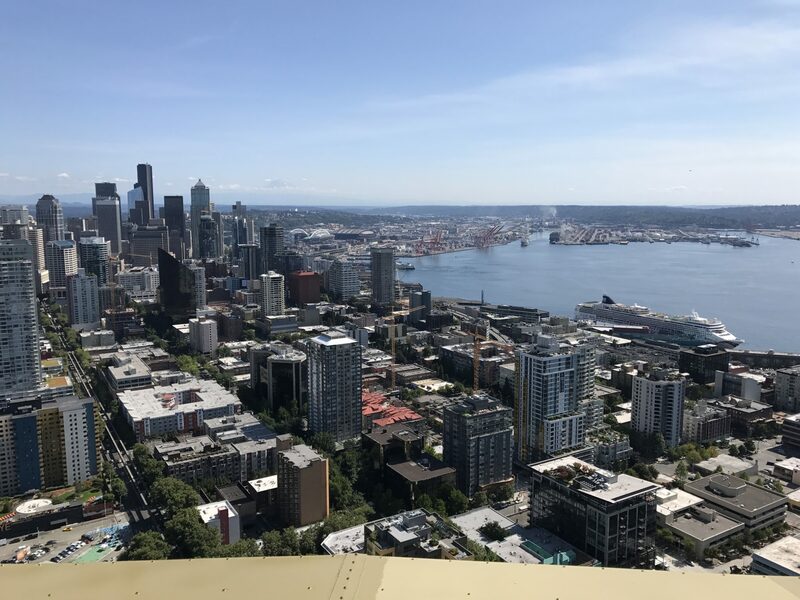 I think I’m going to have to conquer my fear of heights for the Space Needle when we make it to Seattle….those views look amazing! 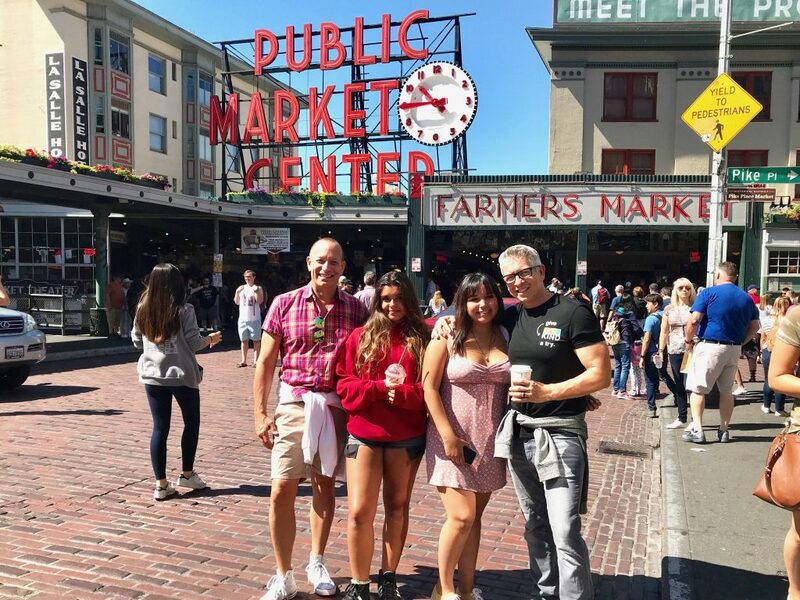 *This experience was hosted by Seattle Fairmont Hotel, and we’re so pleased that we had this opportunity to visit. “High Tea?” the girls asked, as we packed some nicer clothes into our suitcases bound for a Seattle weekend. They wondered why we wanted to do this, on a summer Saturday in the middle of our vacation. 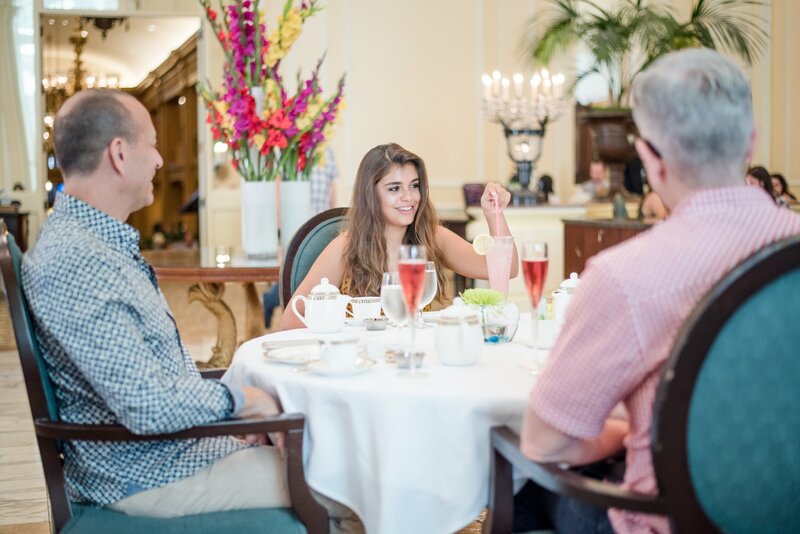 As it turns out, Afternoon Tea at the Seattle Fairmont Olympic Hotel was a highlight of our trip, and our entire family had a blast that would make even Queen Elizabeth proud (insert queen jokes here). The Georgian Room at the Fairmont Olympic Hotel is one of Seattle’s grandest and most historic spaces. 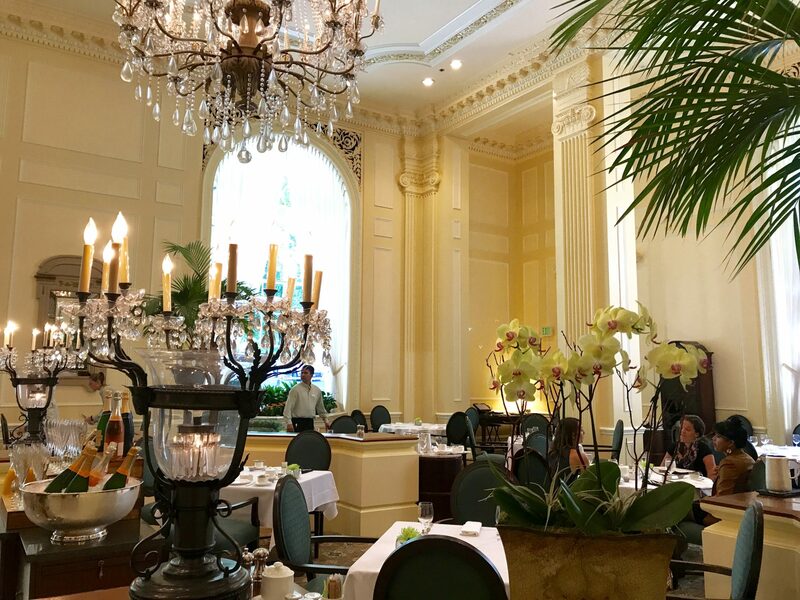 As we were escorted to our table in the historic Georgian Room off the main lobby of the Fairmont, we could not help but ooh and aah at our surroundings for Afternoon Tea. The room exudes luxury, from the ornately decorated high ceilings to the massive crystal chandeliers to the richly upholstered furniture – it was completely breathtaking. We know the girls are impressed when they immediately adjust their posture, standing tall in their sweet dresses to make a good impression fitting of the surroundings. In this room, they could have been Eliza Doolittle balancing books on her head while learning to walk properly in “My Fair Lady”. As you might expect, the service was impeccable with attendants holding the girls’ chairs while they were seated, placing our napkins in our laps and making us comfortable as we surveyed the room. It seemed like the perfect setting for champagne, and by good fortune they had several top shelf choices. Triton and I began with a Kir Royale and the girls enjoyed a sweet lemonade. We felt darn right fancy! A little champagne to start the festivities. We all enjoy a good cup of tea, and when the server arrived with a variety of choices we each knew exactly what we favored. Ava wanted the herbal green, Sophia choose a fruity herbal blend, and Triton and I both chose the traditional creamy Earl Grey. The individual pots were served with time to steep, while we watched as two enormous triple-tiered serving stands were brought to our table – one for the kids and one for the adults. Our server let us know the chef was concerned the girls may not enjoy the regular selection of finger sandwiches, so he created a special menu for them of PB&J sandwiches in pretty shapes. Triton and I were served finger sandwiches including delicious varieties like cucumber, curried chicken, salmon and more. All of us enjoyed the warm currant scones with fresh butter, and of course the mini dessert assortment was gobbled in an instant. Throughout the experience, we sipped our tea and felt genuinely regal. The 3-tier stack of delicious served at our table was delicious and gone. 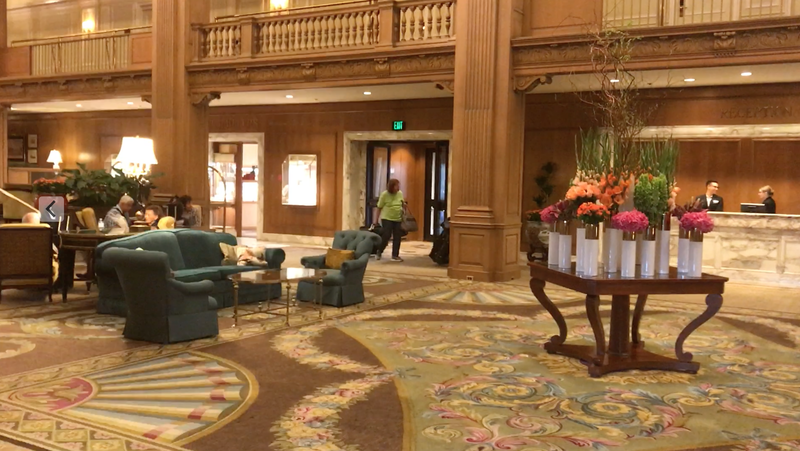 The Fairmont Olympic Hotel is pure luxury, and we loved our stay here. 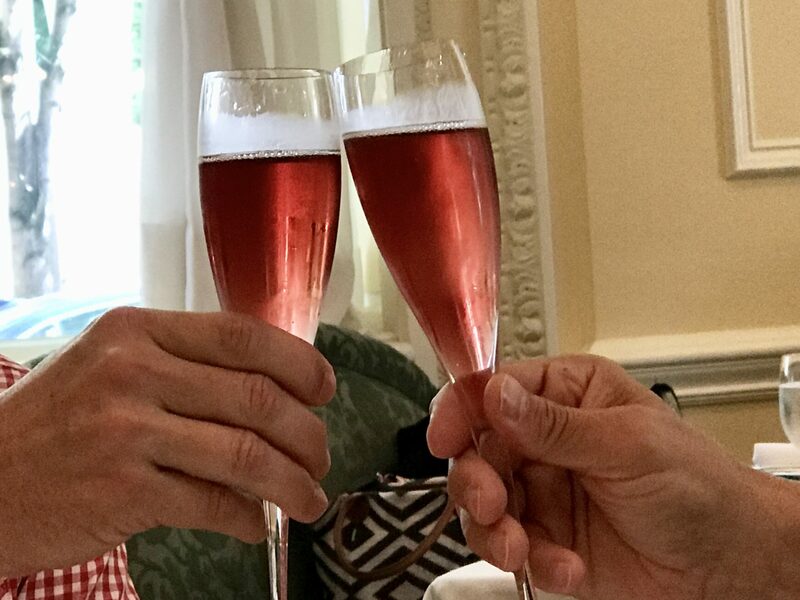 Of all the experiences we enjoyed in Seattle, the Afternoon Tea at the Georgian Room was a sincere pleasure. We all voted for a return visit very soon. Highly recommended – 5 out of 5 stars from our entire family. How could we resist this plate of sweets to finish our Afternoon Tea experience? Those sweets look so delicious! The high tea definitely sounds like it would definitely be a great experience. I love the Fairmont Olympic Hotel. It’s been years since I’ve visited and the tea looks like a great reason to head back! Yes what a great hotel, and the tea was really fun! Haha I don’t think they would mind at all – and the food was totally worth it! 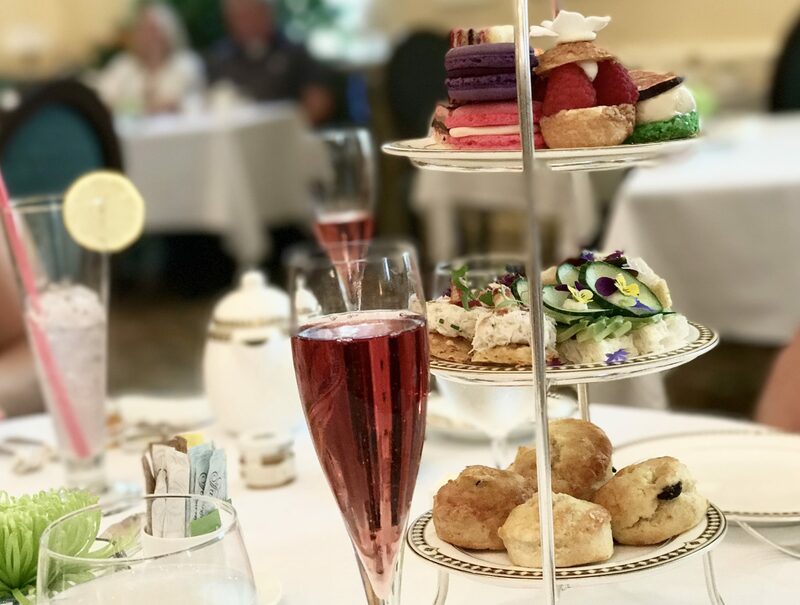 With all the beauty in the Pacific Northwest, it is quite a compliment to sat high tea at the Fairmont in Seattle was the highlight of your trip. When I finally get to Seattle, I’ll need to check it out. 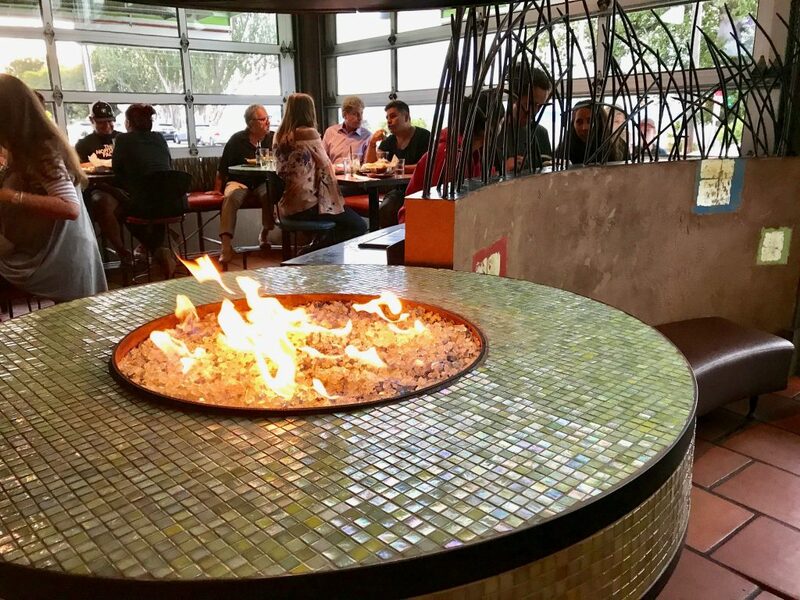 So many great things to check out in Seattle! I’m not sure this would be the best fit for my pack of four boys….but then again you never know; everyone can use some fancy every once in awhile 😉 At any rate, everything looks just lovely!